LIVE UNITED: Looking for a fun way to LIVE UNITED? Looking for a fun way to LIVE UNITED? Join us as we come together with hundreds of local Comcast employees, families and friends to build 222 kid-sized picnic tables for 73 Nashville elementary schools during the seventh annual "Comcast Cares Day" on May 3. Enjoy a block party complete with a music DJ and kids’ activities. You might even be in a Comcast commercial – they’re filming the event for a spot to appear in the Middle Tennessee area! Across the country, more than 50,000 Comcast volunteers will participate in this year’s day of service, making it one of the nation’s largest single-day corporate volunteer efforts. Comcast employees will be joined by these partners: Nashville Mayor Karl Dean, staff members and volunteers from United Way of Metropolitan Nashville, PENCIL Foundation, the Urban League of Middle Tennessee, metro Nashville schools, and associates of the Home Depot in Madison, Tennessee. The Home Depot store in Madison has donated building materials and supplies for the project. Saturday, May 3, 2008 from 8:00 a.m. to 1:00 p.m. Please call Jen Smith at United Way of Metropolitan Nashville at 615-780-2441 by 10 a.m. Monday, April 28, if you are interested in participating. 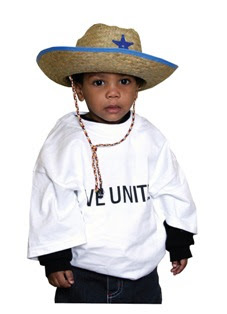 We’ll provide you a free LIVE UNITED t-shirt to wear during the event. It’s yours to keep, too – just our way of saying thank you for LIVING UNITED! Oh, and if you come out for the event, please leave a comment below to share your experience with us! I enjoyed the experience, however, I wished that I had gotten there sooner to get a chance to build more tables. Overall, the experience was good. Kudos to Comcast & United Way for a job well done and for a worth while cause. Have you seen either of the new LIVE UNITED ad spots on TV? We are all people. Connected. Interdependent. United. And when we reach out a hand to one, We can influence the condition of all. That’s what it means to Live United. WE WANT TO KNOW HOW YOU LIVE UNITED! Post a comment to tell us! Find a United Way outside of Davidson County, Tenn.